Happy Sunday everyone! We’ve got a great #formativechat coming up tomorrow at 4:30PM PST/ 6:30PM CST / 7:30PM EST! 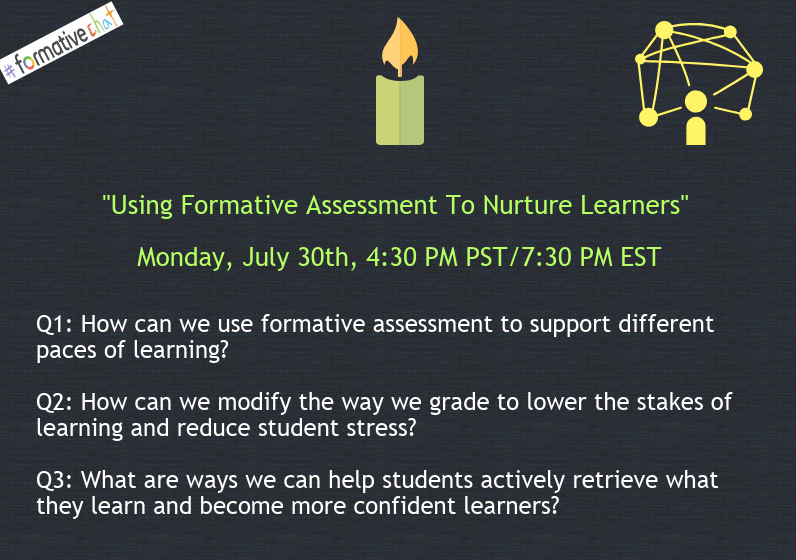 We are going to be talking about how to use formative assessment to nurture learners. We hope you can make it! 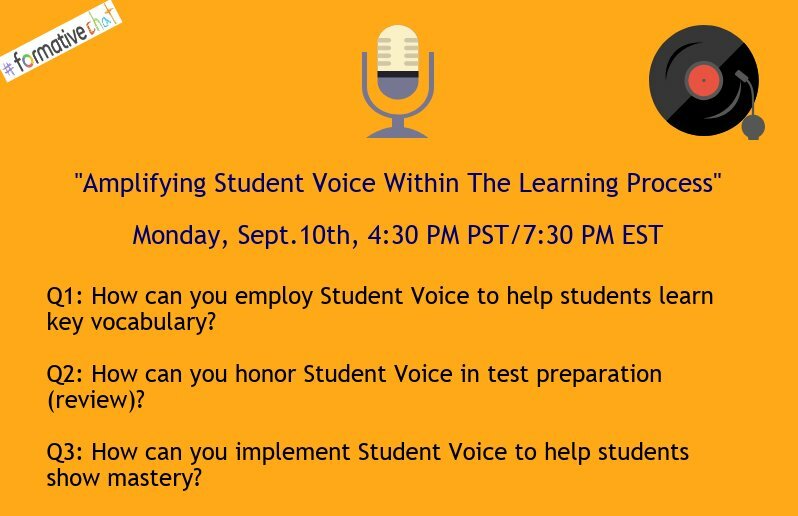 And as always, we’ll be posting the questions in #specialized-application (later in the week) so you can slow chat there too! Q1 is now up! What is student-centered instruction to you? How do you define it? What does it look like in the classroom? Q2 is up! What are the benefits of a student-centered approach to working with today’s students? Q3 is up! What is one thing you will instill in your classes or work to further student-centered learning? Q4 is up! 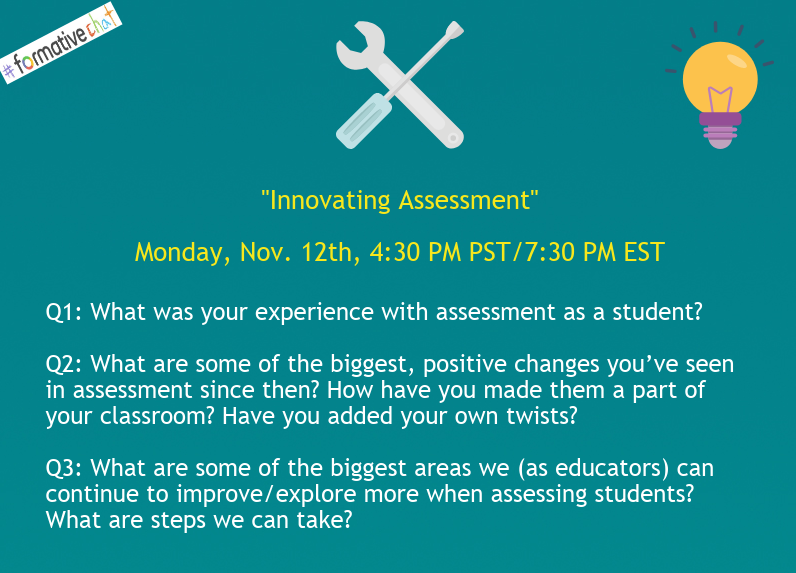 What challenges do you see in assessment with student centered learning and how do you overcome those challenges? Q5 is up! 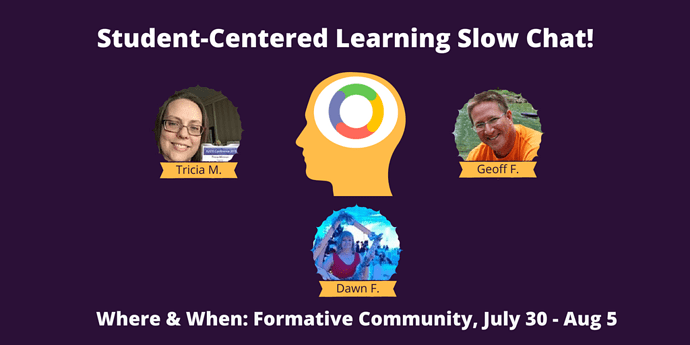 How do you introduce Student Centered Learning to students? Q6! 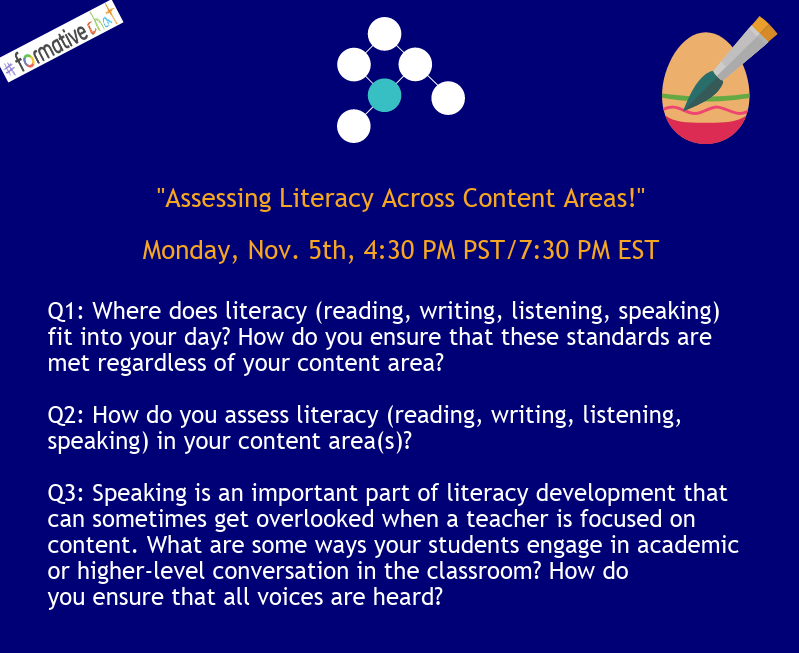 How do you allow for student choice/input while keeping within your school’s curricula requirements? Q7! How do you provide a more student-centered environment when your curriculum is ‘locked’? 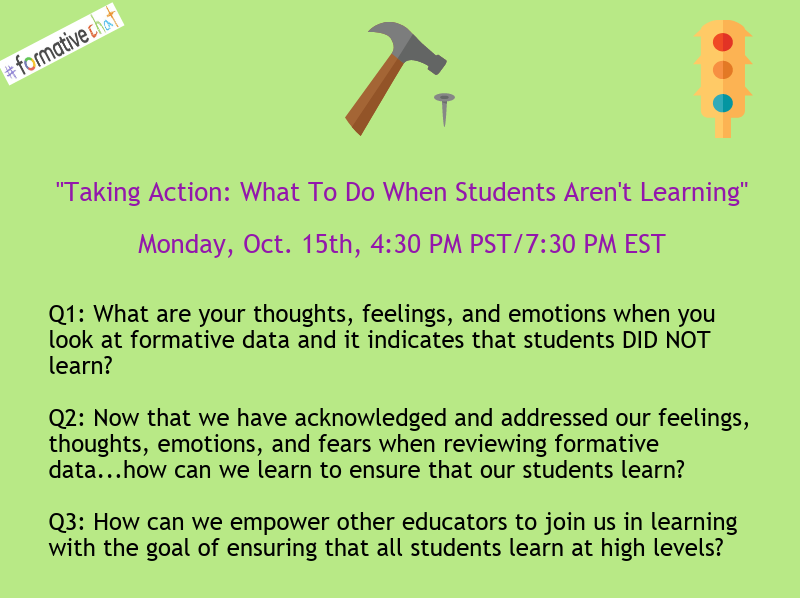 We hope you can join us tomorrow for another exciting #formativechat! at 4:30PM PST / 6:30PM CST / 7:30PM EST! This time we are talking about letting students take the wheel with formative assessment and we’d love to hear your thoughts! 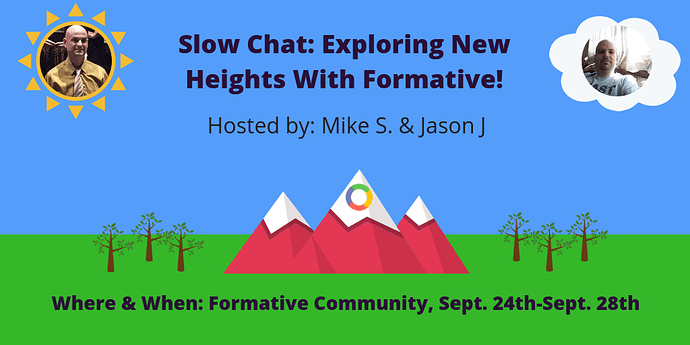 We know that school is starting up for many of us so we have a very timely #formativechat coming up! 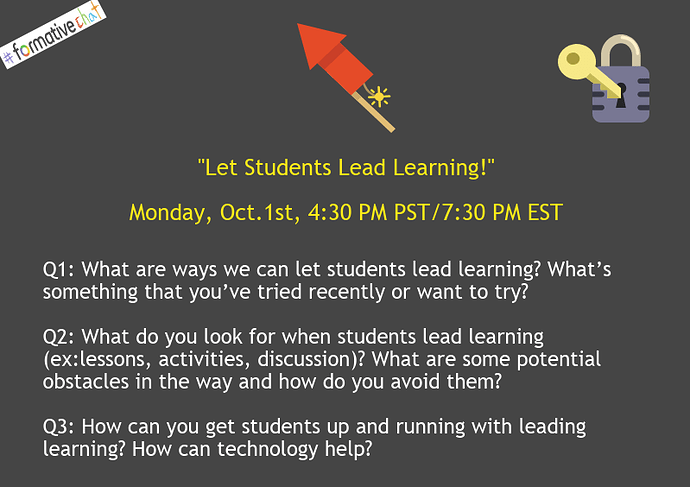 Join us on Monday (4:30PM PST / 6:30PM CST / 7:30PM EST) as Maureen Hayes leads our discussion about getting to know students at the beginning of the school year and pulling together different insights (ex: past performance, interests, current skill levels…) to start to effectively differentiate learning. The live chat is over…but our slow chat has just begun! Click on the questions below to share your responses! Q1: How do you get to know your students during the first few weeks of school? 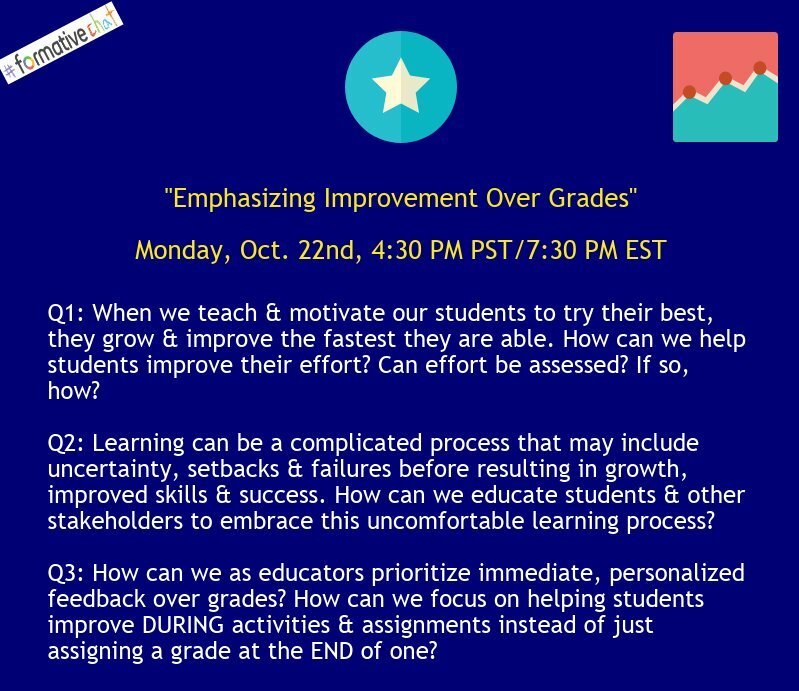 Q2: What kinds of insights do you pull together to begin informing your instruction and differentiating learning? Q3: For students who’ve grown to believe that assessment is mainly a form of judgment…how can we help them see that it can be for their learning? What are the benefits of students internalizing this from the beginning of the year? 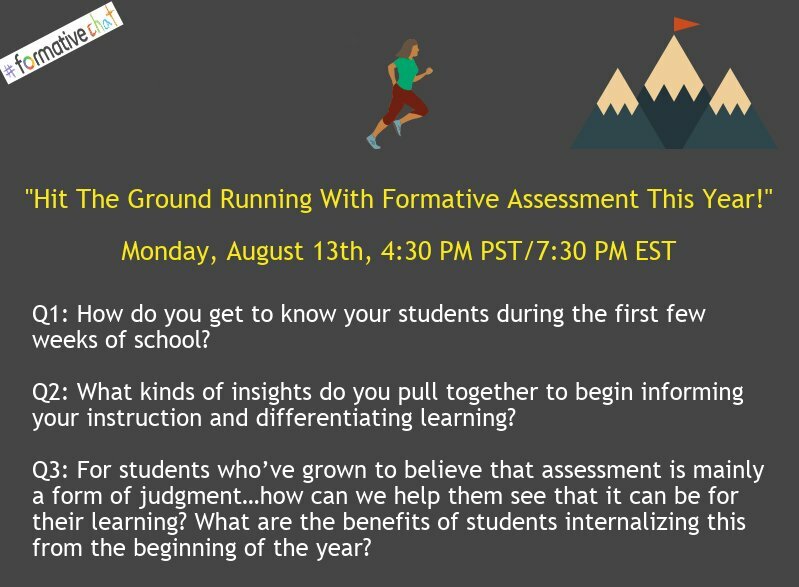 On Monday, we are going to have another awesome #formativechat focused on gearing up for the beginning of the year! This time, the focus is bit different! We’ll be ringing in the new school year and inviting everyone to share innovative ideas for making it the best one YET! Matthew Larson is guest hosting! If you can’t make it to the live event, make sure to check back here! 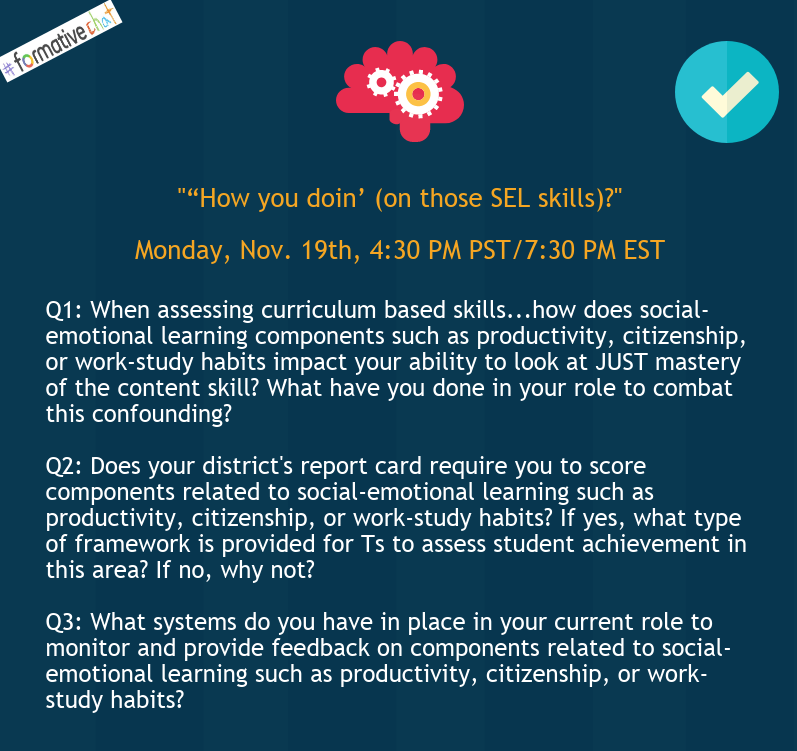 We’ll be sharing links to topics in our community where you can slow chat about the questions! 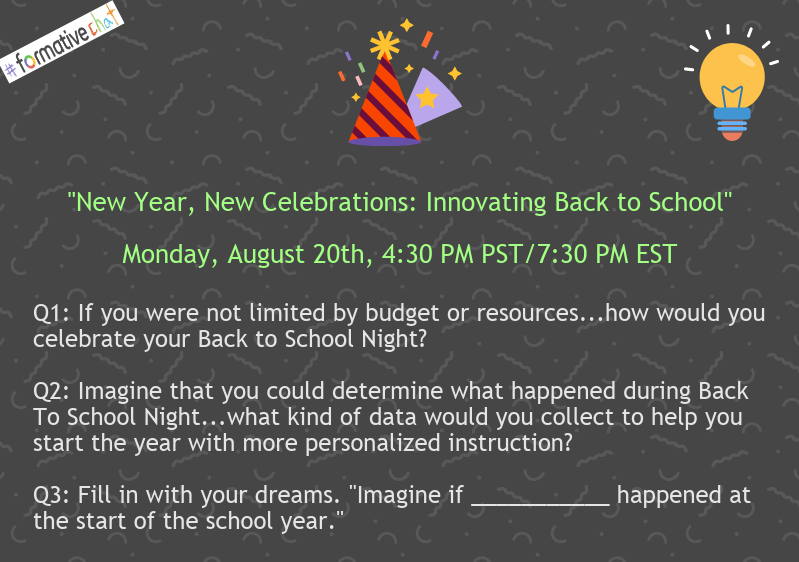 Q1: If you were not limited by budget or resources…how would you celebrate your Back to School Night? 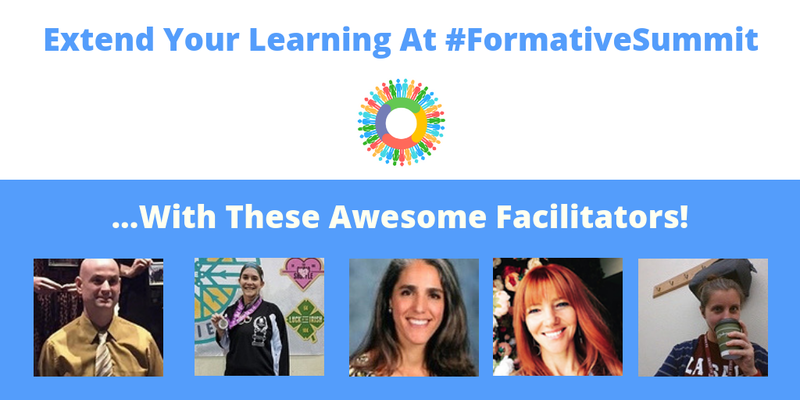 We hope you can join us later today as @Melissa_Asztalos hosts our weekly #formativechat (4:30PM PST /7:30PM EST! Melissa is a growth mindset guru and an awesome member of our community! If you can’t make it to the live event, make sure to check back here! As always, we’ll be sharing links to topics in our community where you can slow chat about the questions! Q1 is up in our community! 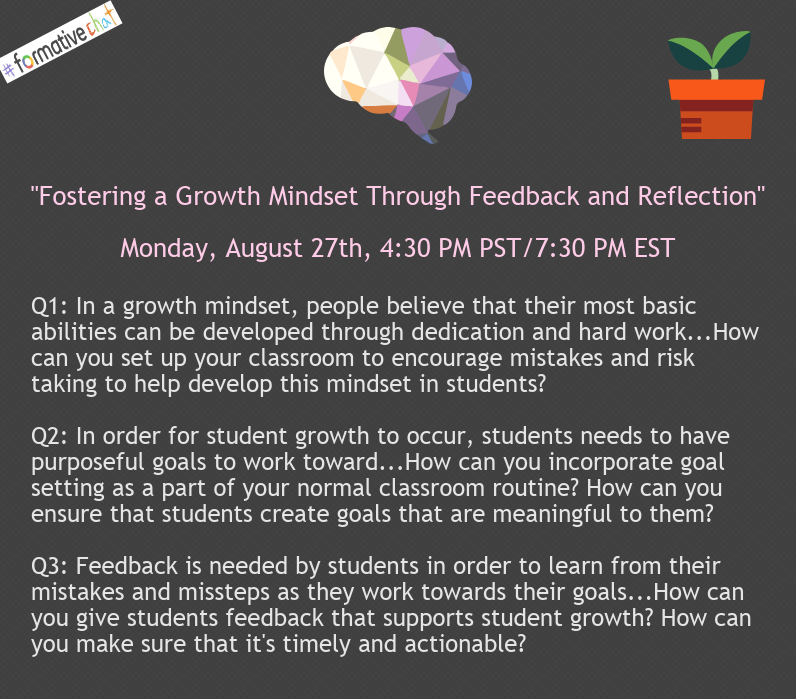 In a growth mindset, people believe that their most basic abilities can be developed through dedication and hard work…How can you setup your classroom to encourage mistakes and risk-taking to help develop growth mindset in students? Q2 is now up! 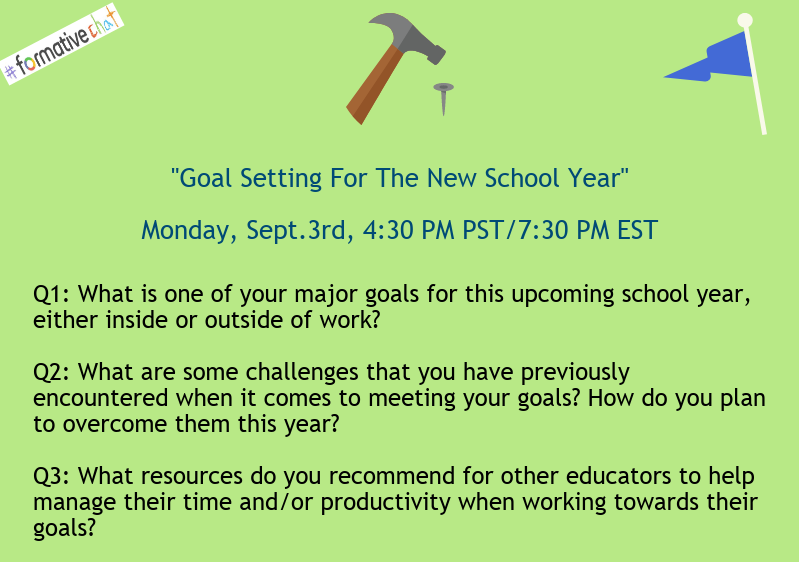 In order for student growth to occur, students need to have purposeful goals to work towards…How can you incorporate goal-setting as part of your normal classroom routine? How can you ensure that students create goals that are meaningful to them? Q3 is up! 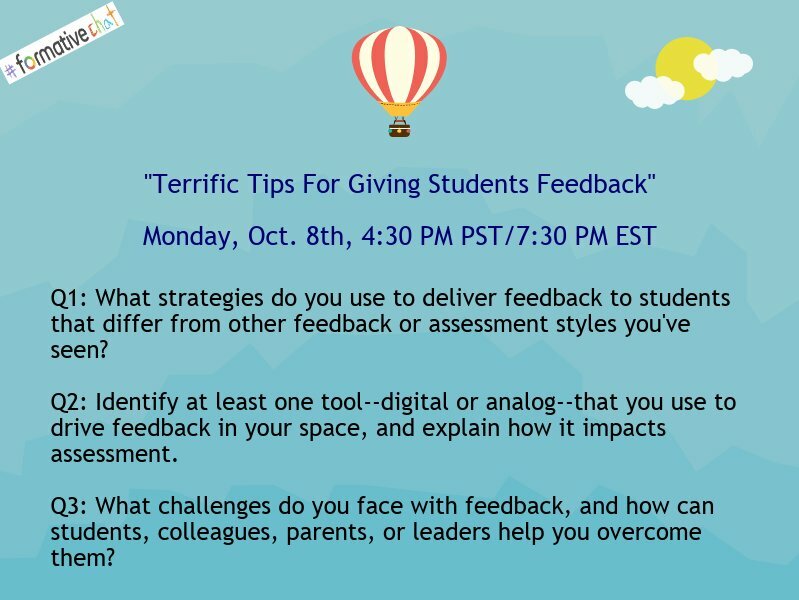 Feedback is needed by students in order to learn from mistakes and missteps as they work towards their goals… How can you give students feedback that supports student growth? How can you make sure that it’s timely and actionable? Hey @new_members @informed_members @Certified_Educators ! 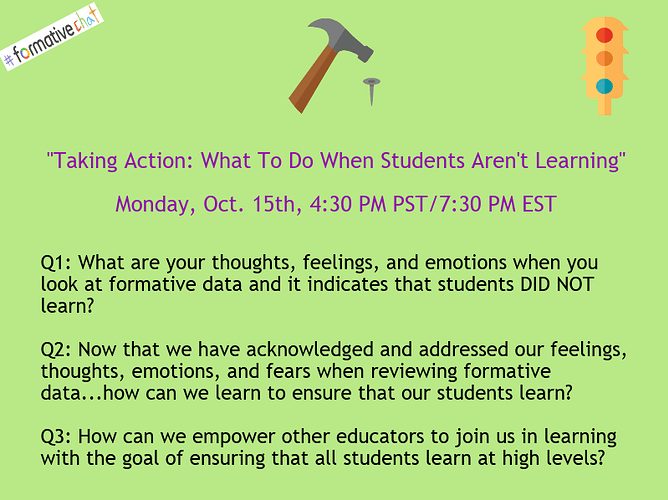 Edumatch founder, Sarah Thomas is going to be hosting #formativechat on Monday at 4:30PM PST / 7:30PM EST! She’s going to be leading a discussion about goal setting for the new school and we’d love to hear what your goals are! If you can’t make it to the live event, check back here! We’ll be sharing links to topics in our community where you can slow chat about the questions! Q1! What is one of your major goals for this upcoming school year, either inside or outside of work? 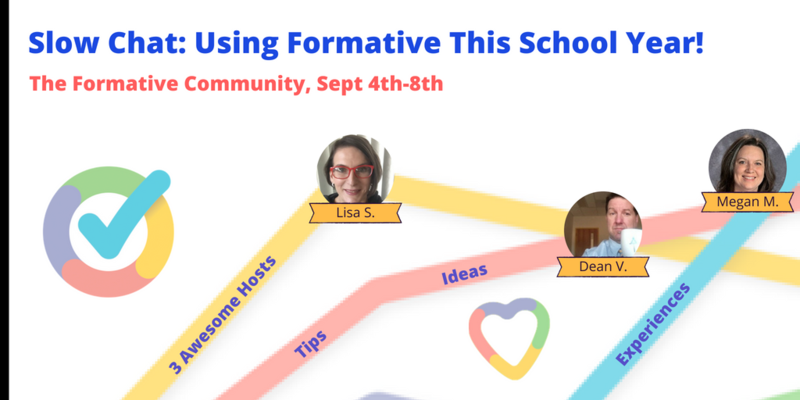 This week, Formative Certified Educators @fichtlis @d.vendramin and @Megan_Miller will be hosting a slow chat about using Formative this school year! Starting tomorrow, they’ll be posting questions in the #specialized-application category and inviting you all to share your Formative tips, ideas, and experiences! 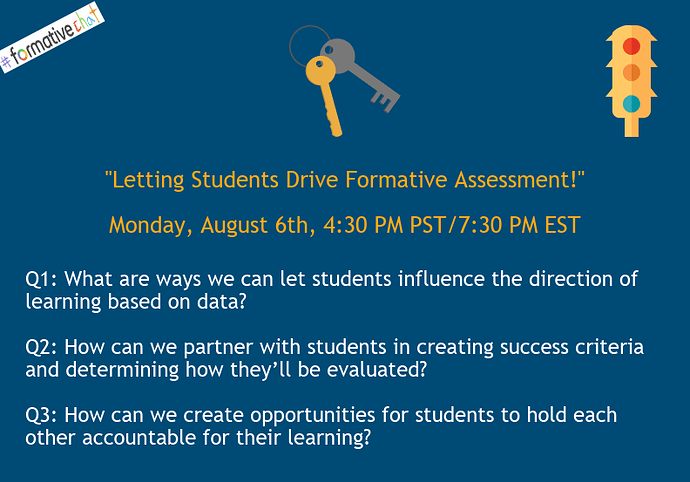 This will be a great learning experience for Formative users of all experience levels so we hope you can join us and invite your colleagues to check it out too! Q1 via @fichtlis! 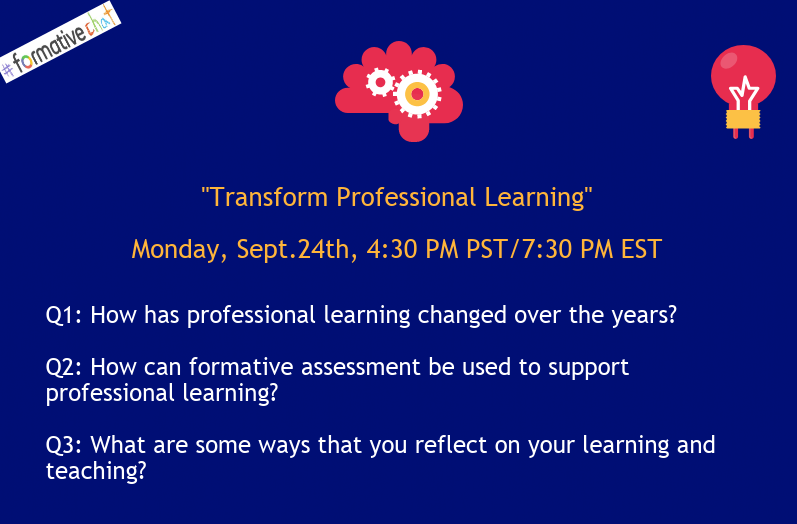 What models or ways of learning will you pull in and adapt using Formative this school year? Q2 via @fichtlis! When developing Formatives, what are your end goals for your learners? Q3 via @d.vendramin! How could you use Formative to build relationships with your students? Q4 via @d.vendramin! How could you use a Formative to provide students a variety of ways to show understanding? Q5 via @Megan_Miller! 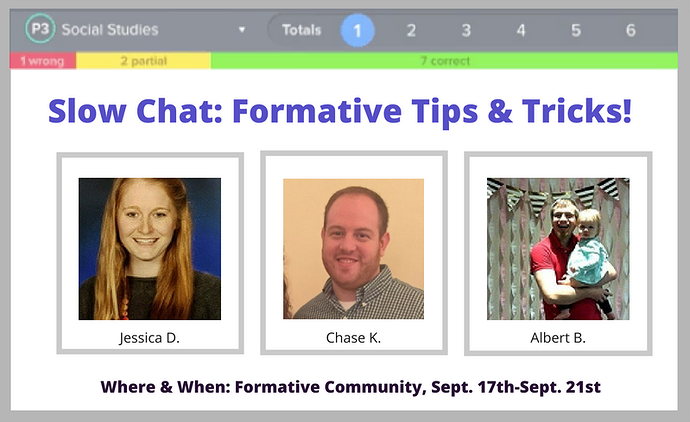 How do you convince other educators that Formative is a great tool for them to use in their classrooms?